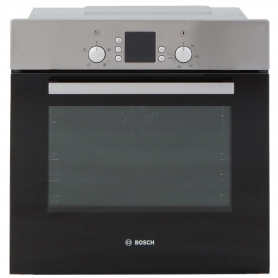 This Bosch single electric oven looks stylish with its stainless steel appearance, and has a great range of features that help cook delicious meals for your family. 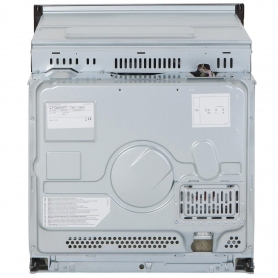 Bosch are known for their fantastic build quality, and the HBN531E1B is no different. The built-in design lets you place this oven in your existing cupboards, giving you greater flexibility on where to put it. It can be mounted at eye level for extra convenience, or placed beneath your worktops in a more traditional layout. This oven also has a huge range of cooking options, from fan oven and grill settings, to a defrost mode. A large 67 litre capacity means you can cook lots of food in one go, from casseroles to chickens. The fan inside the HBN531E1B helps distribute air throughout the oven, giving you more reliable cooking times and the ability to cook at lower temperatures. Bosch have taken fan cooking one step further with their 3D Hotair cooking function. This provides even heat distribution across two levels. The HBN531E1B is the perfect appliance for roasting and baking, providing consistent results time and time again. Tired of waiting for food to thaw? The handy defrost facility on the HBN531E1B lets you speed up the natural process, getting you tasty food quicker. This is done by circulating heat gently through the appliance without any cooking occurring, so your food defrosts naturally and hygienically. Scrubbing fat and grease out of your oven is a thing of the past, as cleaning the HBN531E1B is a doddle thanks to EcoClean. Grease from cooking is absorbed into special liners. The EcoClean cycle releases oxygen and burns away these deposits, resulting in a fantastically clean oven. The full width grill is the perfect way of cooking nice, crispy bacon. Pack in the rashers for the full English breakfast. 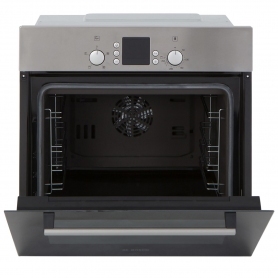 Retractable oven controls allow for easy heat adjustments. 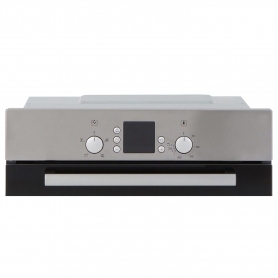 When you’re finished cooking, just push the controls back into the panel for a flat surface – much easier to clean! 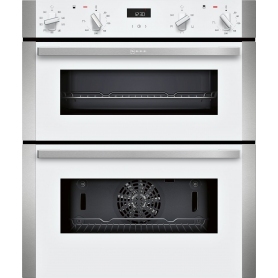 This single oven has been awarded an excellent energy efficiency A rating. By using less energy than lower graded models, the HBN531E1B will save you money each time you use it and reduce your impact on the environment. 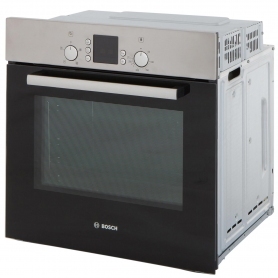 A two year warranty and control panel lock provide the finishing touches to this multifunction oven from Bosch. 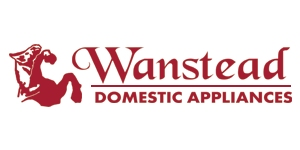 Order today to add a touch of class to your kitchen.